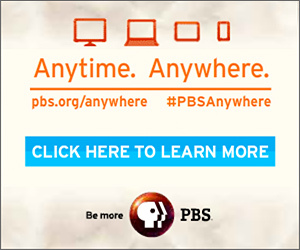 Watch Saturdays at 10:40pm beginning November 8, 2014 on WMHT TV. 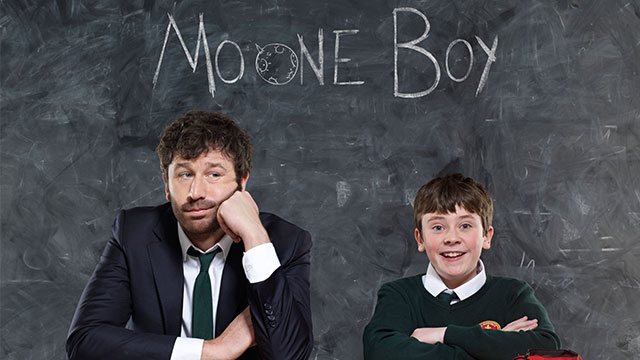 Inspired by his Little Crackers 2010 short Capturing Santa, Moone Boy is a semi-autobiographical sitcom written by and co-starring Chris O'Dowd about a boy growing up in Ireland in the 1980s. O'Dowd plays Sean, the imaginary friend of 11-year-old Martin Moone, the youngest child of a family living in a small town in Ireland. Ireland have qualified for the World Cup, but it clashes with the Moones’ holiday plans. Not being a fan of football, Liam insists that they head to Donegal as planned. But soon after arriving, Martin and Sean decide to hitch back to Boyle. Their adventure home culminates in them watching Ireland’s match with a Romanian family - Ireland’s opposition - while in a Donegal pub, Liam finds himself unexpectedly swept up in the excitement of it all. It’s Martin’s first day at his new school and he promptly falls in love with his art teacher, Miss Tivnan. Meanwhile Debra discovers that the school aren’t bothering to run the annual Back To School Dance this year, and so decides to organise it herself. At the dance, Martin tries to impress Miss Tivnan, but ends up making a spectacular show of himself. Martin and Padraic are building a raft. It’s their most exciting construction project yet and has almost nothing to do with being forced to read ‘Huckleberry Finn’ at school. Their initial plan is to sail it into town on a hot, sunny day and eat ice-creams on it and let all their friends swim off it and be the most popular lads in town. But by the time the raft is finished it’s almost Halloween and it’s bloody freezing, so they make a new plan. Martin sees ‘The Greatest thing his little eyes have ever witnessed’ and with money tight in the Moone household he sets to work on the golf course. An old rivalry rears it’s head and Liam challenges his nemesis to a ‘Handball duel’. It’s Fidelma’s hen do and Dessie’s stag. The Moone’s get new neighbours. It’s Fidelma and Dessie’s wedding. Martin has to say a heartbreaking goodbye.